Cost innovation occurs when changes in the product design, production or delivery process, technology or materials result in reduction in production or delivery costs. In China, it is well known that the extensive use of lower cost unskilled or semi-skilled labor creates products that are cheaper than those made in developed countries. [A generation ago, economist Lester Thurow speculated this would be the path whereby Japan and then China could come to dominate the global economy.] . . . . For example, Guangzhou Crane Corporation has pioneered single rather than double welding of sections as a way to reduce costs while maintaining the same performance. Application innovation occurs when existing products (or services) or technologies are combined in a new way to produce a new product. The humble but ubiquitous sandwich, and also the credit card, are classic examples. . . .
Paradoxically, while China has become critical in the global supply chains of foreign companies, supply chains inside China still have much room for improvement; infrastructure is needed to catch up with the country’s very rapid growth. But there are increasing examples of supply chain innovation by Chinese companies. For example, Vanke was the first Chinese real estate company to extensively use prefabricated construction materials for construction. China has produced relatively few product innovations that are truly new to the world. But based on extensive experience with incremental innovations, Chinese companies are moving from incremental toward radical innovations. 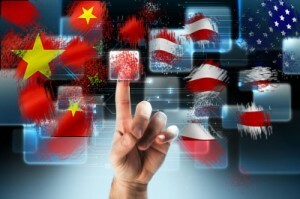 . . . .
China has yet to produce high-impact technology innovations with global significance. But we have seen examples of minor but world class technology being implemented to create innovations. . . . In China, most business model innovation has started by taking a Western model, adapting it to China, then further innovating the adaptation. Although Alibaba.com, for example, copied the eBay platform with its competing service Taobao, it quickly overtook eBay, based on its earlier B2B platform experience and innovations to suit the Chinese customer. . . .
Non-customer innovation occurs when a business is able to serve a customer segment not previously served in this category elsewhere in the world or in a particular country. An example is the Tata Nano car, designed at such a low price point as to serve first time auto buyers, who had previously used motorcycles or other modes. An even better example is Apple’s iPad, whose simplicity drew in many older users who had previously been unable to use more complex personal computers. China’s modern, market economy is so new that there are many non-customers to be tapped in almost every category. For example, in banking many small enterprises still have no bank accounts. Minsheng Bank succeeded in capturing small-sized companies’ business as a first mover to create a new segment.